Free shipping to United States with $30 purchase from WeefersDesigns. See item details below for sale terms. Based on Style chosen, type in Name, 1 - Letter initial or 3 Letter Monogram (first initial LAST INITIAL middle initial). See listing pictures and description for more details. You’ve reached the limit! Use 9 characters or less. Looking for the perfect gift for your best friend, girlfriend or wife? 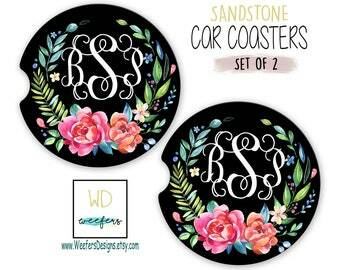 These beautiful personalized car coasters make the perfect unique gift for her birthday or other special celebration! 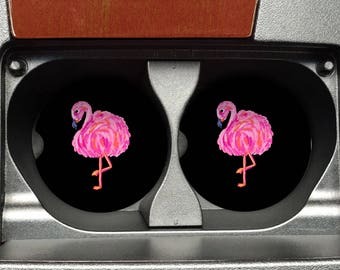 Who want's boring car cup holders? 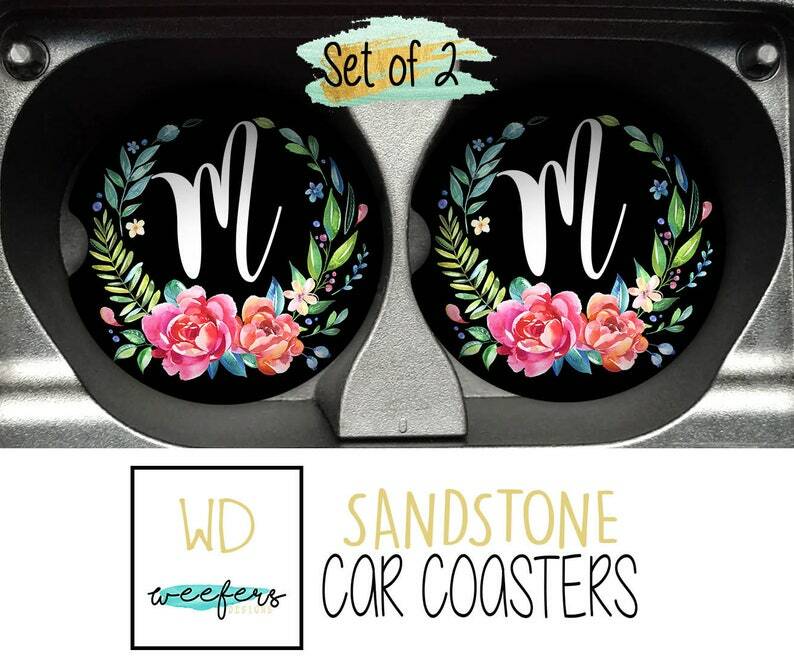 Our fun and unique sandstone car coasters are sure to add your own individual personality to your automobile's plain drink holders. These beauties are made from a natural stone which makes them super durable, functional and most importantly long lasting. The images are printed permanently into the surface and will not peel, fade or rub off over time! 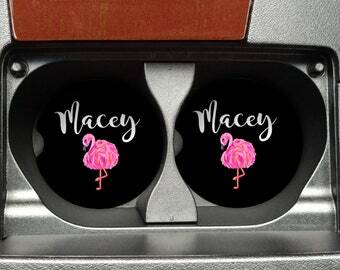 Our car coasters are super absorbent and will keep your cup holders clean and dry for years to come. -Round with Divot, 2.56" x 0.30"
-The listing is for the image and wording as shown in the listing picture(s). During checkout there is a NOTE TO SELLER section, please type your (3) Monogram Initials, Name or 1-letter in the note to seller box. We will print the auto cup coaster initials in the order they are provided. If you have a special request, please contact us before purchasing. Click the Shipping & Policies tab for current turnaround times and shipping costs. ©2019 Weefers Designs. All rights reserved. If we sent you the wrong item, please send us a picture of the item you received within 3 days of delivery and we will get a replacement shipped out to you the following business day.